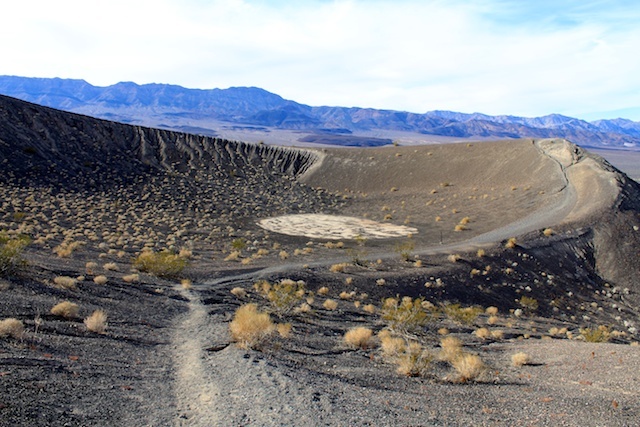 Ubehebe (pronounced YOU-bee-HEE-bee) Crater is a giant crater located near the northern part of Death Valley National Part. 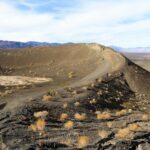 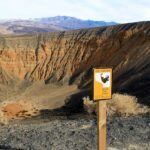 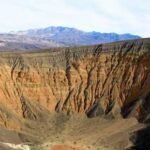 It is the starting point of the dirt road that leads to some of Death Vally’s best spots such as the racetrack, lost burro mine and teakettle junction; however, the crater itself is worth a trip to in itself. 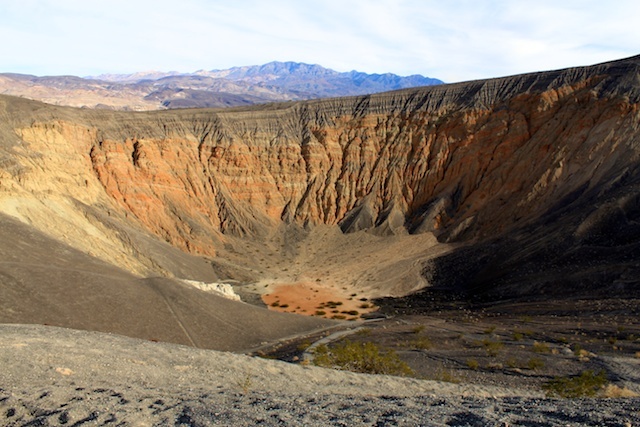 Ubehebe crater is about a half mile wide and close to 750 feet deep. 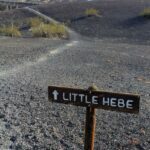 There are three main hiking paths, one that goes around the crater and is about 3 miles long, another that goes into the crater and is not as long as it is difficult with its 700 feet of elevation loss, and about a mile walk that leads to the small crater known as Little Hebe. 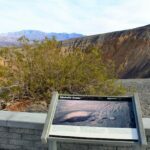 Even if you are not a fan of hiking, you can simply pull up in your car at the parking lot and take a look before proceeding on. 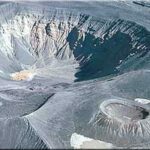 It is an amazing specimen of geology that scientists believe is at least 2000 years old. 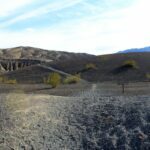 Check out this panorama, click it to make it larger. 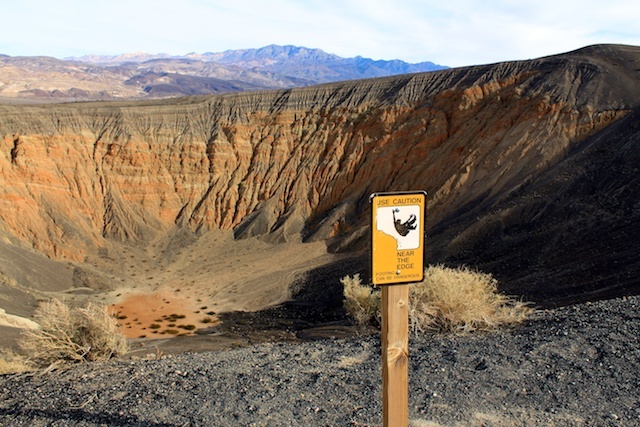 Make sure you don't fall in! 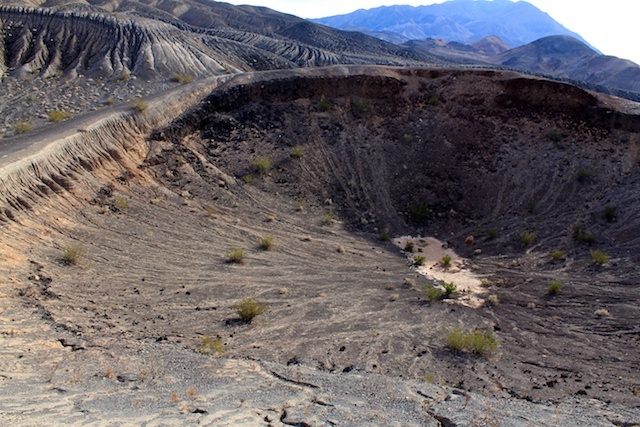 What is also interesting about the area is that it is completely volcanic all around it. 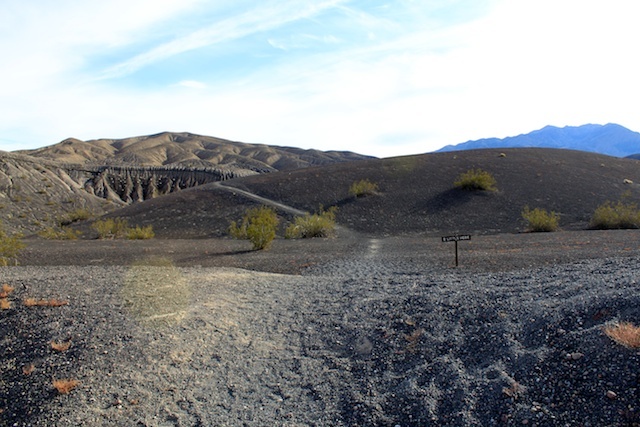 When coming up to the crater you see the normal desert that is Death Valley, but as you get closer the black tar and the jagged rocks start to tell you that you are entering a different area all together. 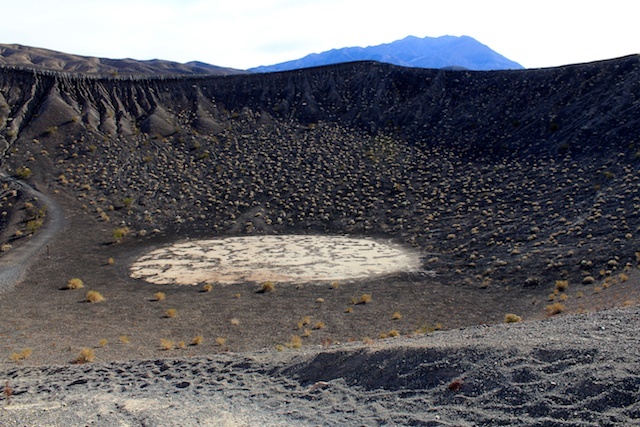 The volcanic area seems to only be about two miles in circumference around the entire crater. 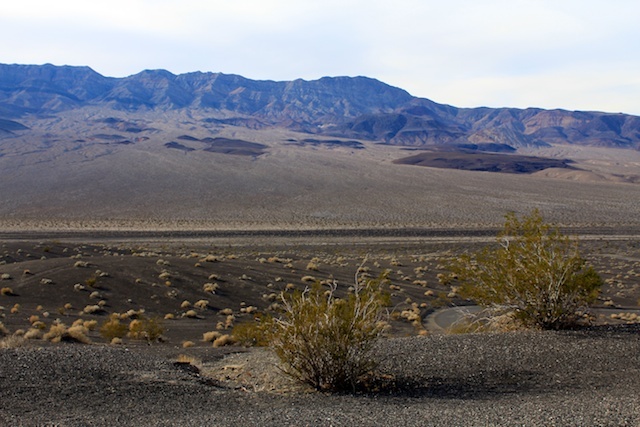 You can see it in the below image, as well as its partner Little Hebe. 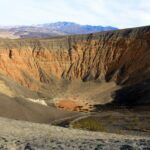 The hike to Little Hebe crater is not particularly difficult, however it is uphill most of the entire way, so if it is extremely hot or you are not prepared for a mile walk uphill, you will probably want to stay away. 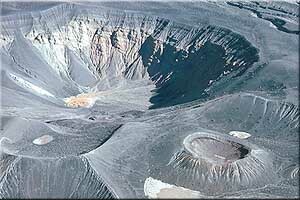 That being said it is cool to see the smaller crater from up close. 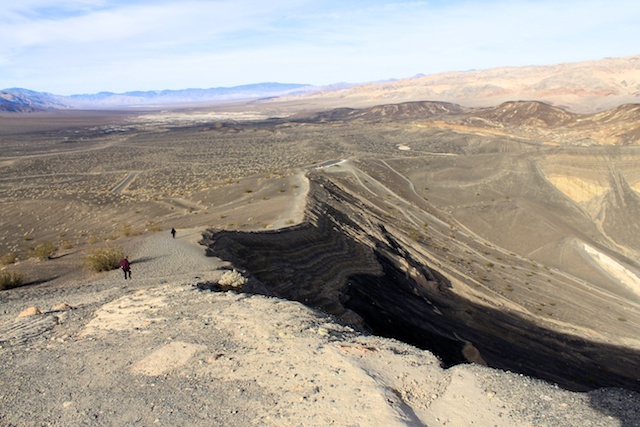 Getting there is simple, from the parking lot you simply head up along the right of Ubehebe crater. 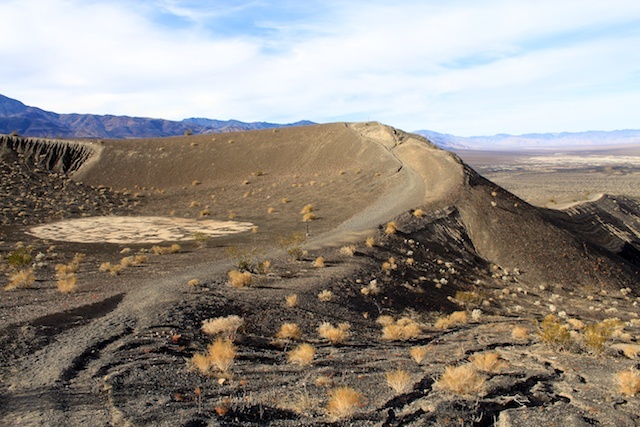 After you reach the top of the first hill you will see a sign telling you that you are going in the right direction. 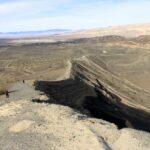 From there you simply head over the next hill and are on top of the crater. 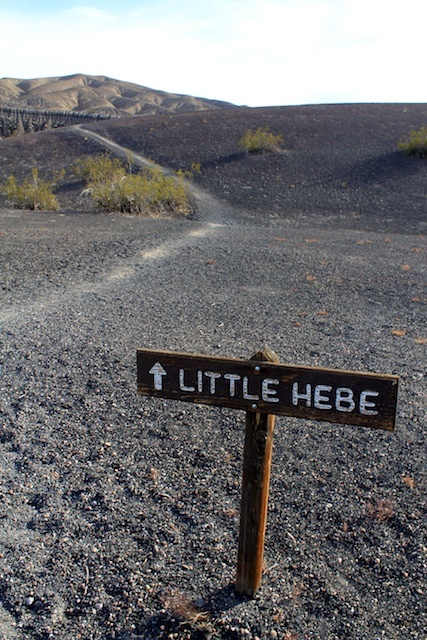 You can keep going from here and complete the entire loop or head into Little Hebe and explore. 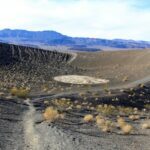 The landscape feels very other wordily here, and you will want to watch your step as the ground is very loose during the entire hike. 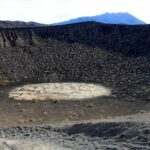 Here is a short video that I took which should give you more of a grasp of the crater and its size. 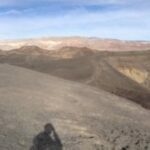 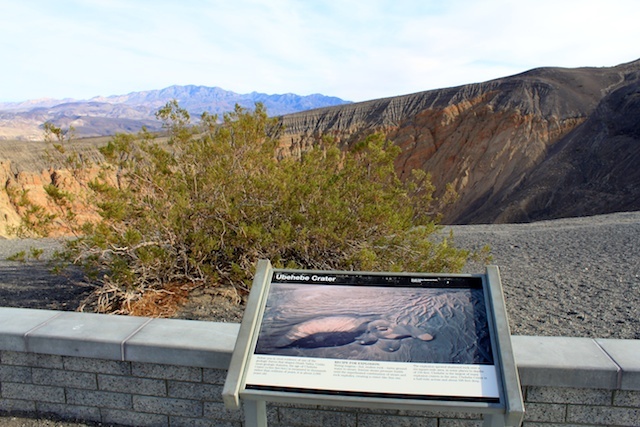 The Ubehebe Crater in Death Valley is a incredibly interesting attraction in the park. 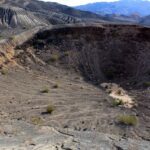 It is easy to get to and is located next to many of the main attractions like Scotty’s Castle, so I would highly recommend you at least stop there for a little bit during your trip. 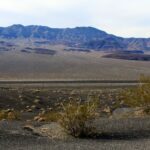 Check out the rest of the pictures below and make sure to leave me a comment.